This memorial website was created in memory of our loved one, Doug Dillard, 75, born on March 6, 1937 and passed away on May 16, 2012. Where Doug Dillard is buried? Locate the grave of Doug Dillard. 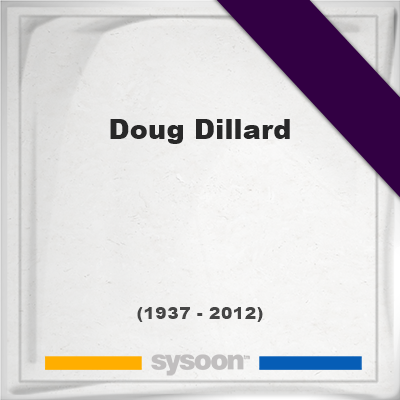 How to find family and friends of Doug Dillard? What can I do for Doug Dillard? 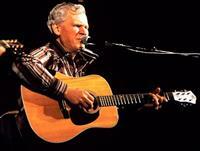 He was a great american banjo player and has worked as filmmusic composer. 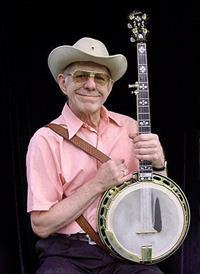 Dillard was one of the pre-eminent ambassadors of bluegrass banjo during the '60s and '70s, incorporating pop, folk, and country-rock material into his repertoire and supporting a wide variety of artists with those sensibilities. He was also one of the founding members of the Dillards, the bluegrass band that added electric instruments to the genre. Note: Do you have a family photo of Doug Dillard? Consider uploading your photo of Doug Dillard so that your pictures are included in Doug Dillard's genealogy, family trees & family history records. Sysoon enables anyone to create a free online tribute for a much loved relative or friend who has passed away. Address and location of Doug Dillard which have been published. Click on the address to view a map. Doug Dillard was born in East St. Louis, Illinois, United States. 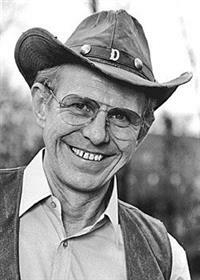 Doug Dillard died in Nashville, Tennessee, United States.